It's time for another 'what's in my graze box' post! I'm really starting to love doing this regular feature, let me know in the comments if you are enjoying it too! This time round I got lots of snacks which are perfect for nibbling on whilst sitting at my desk doing what I'm doing now, blogging. These are often my favourite kinds of snacks so I was happy to see a bit more variety in this box compared to my last one! Now this is the kind of snack I like, a well balanced mix of fruit, nuts and a little bit of chocolate! The raisins and almonds were pretty standard and what you'd expect but it was the honeycomb chocolate that I really enjoyed. 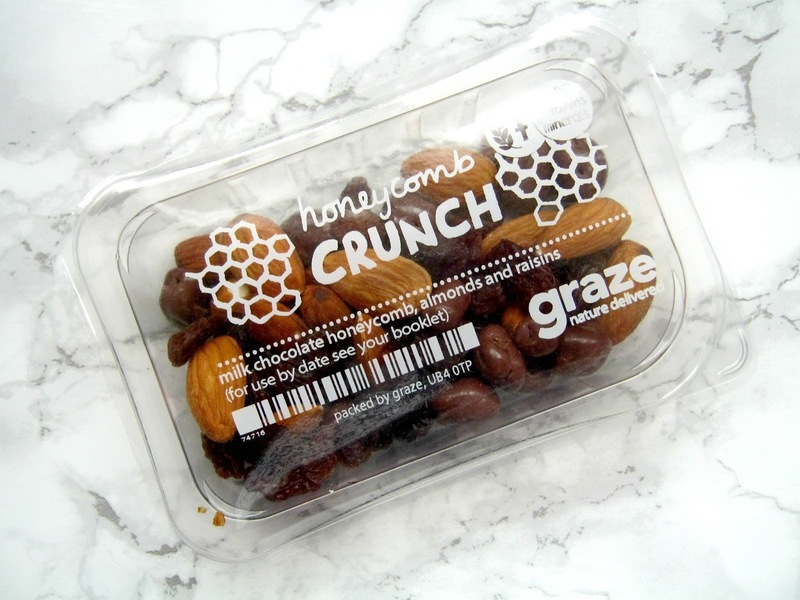 I'm not a huge fan of honey flavoured food so I was a little surprised that I enjoyed it so much but it gave me enough sweetness that I wasn't reaching for something a little more unhealthier like a chocolate bar when it came to about 3pm, this is definitely going to be ticked as 'love' on my graze profile! This is quite similar to the previous box in how it is set up, except this is a mixture of fruit, seeds and chocolate. Firstly I really adore cranberries and almost always have a little bag of yoghurt coated ones tucked away somewhere so any snack with them in gets the thumbs up from me. Additionally though they did go really well with the seeds, I've often said before how I'm not a huge fan of pumpkin seeds and similar ones but they were balanced out so well with the cranberries that I ended up really enjoying them! Of course the dark chocolate was a very welcome sight as well and like before it was sweet enough to satisfy any chocolate cravings. I have to admit yoghurt is something that I don't often eat, it isn't that I don't like it because I really do, I just find it to be boring sometimes and I'd much rather grab a chocolate mousse! I gave this a go though and mixed it into my favourite Onken yoghurt and I actually really enjoyed it. 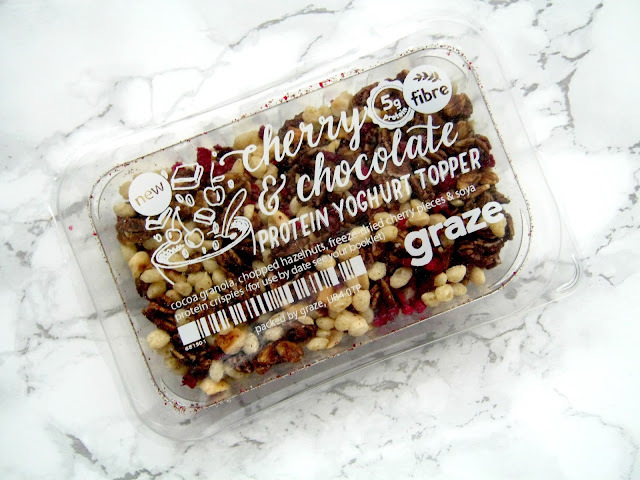 It contains granola, hazelnuts, freeze-dried cherries and soya protein crispies, the perfect mix of tasty treats and healthy protein boosting toppings! I had to leave my favourite snack to last, this one really stood out to me despite the fact that I don't even like cheesecake! The name is definitely misleading though as it actually didn't contain any cheese! What made me like this snack so much though was the peach fruit drops that were in it, I ate all of them first as they were just so tasty! I can't say I was impressed by the vanilla sponge drops that were inside but I enjoyed the white chocolate and passsionfruit buttons so 2/3 isn't bad, plus I loved the peach drops so much that I'd get this snack again if only for them! As you can tell I really was so impressed with my box this time around! 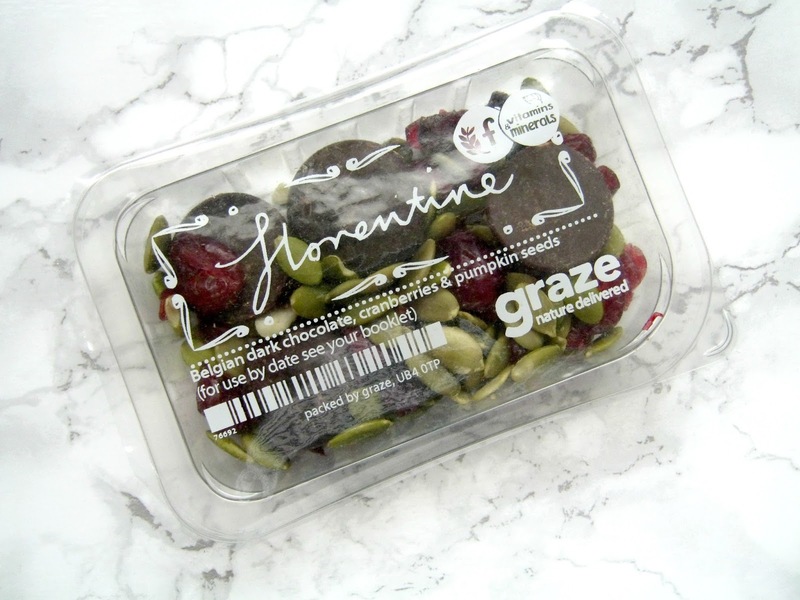 If you want to get your 1st, 5th and 10th box for free then just use my code SHONAC1HB on the graze box website! 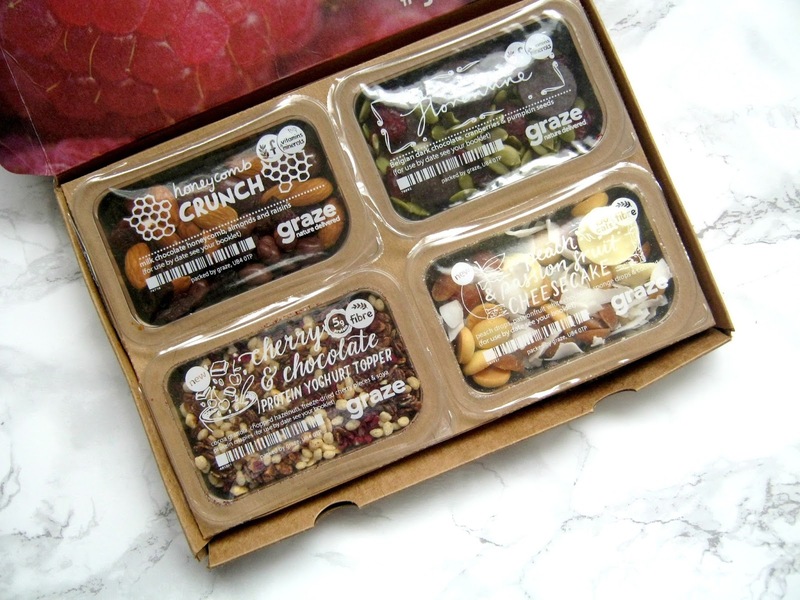 I'm a graze box ambassador which means every now and then the lovely team send me some snacks to try out, however I'm always 100% honest and graze is a brand that I've loved for years! 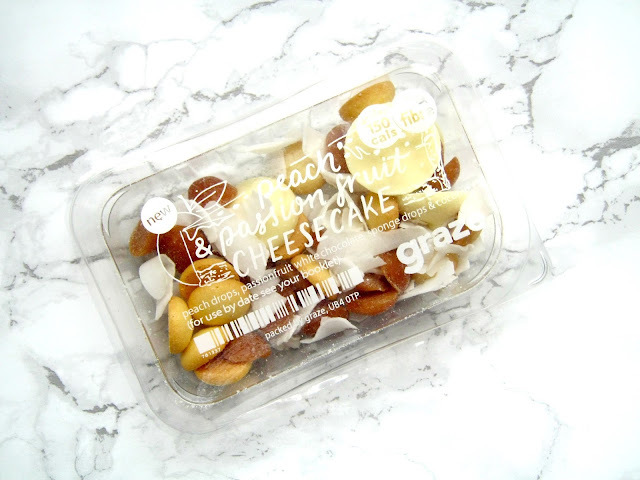 I had graze box for a period of time but I quit it though. I really did love a lot of the snacks I got, especially some of the trail mixes. 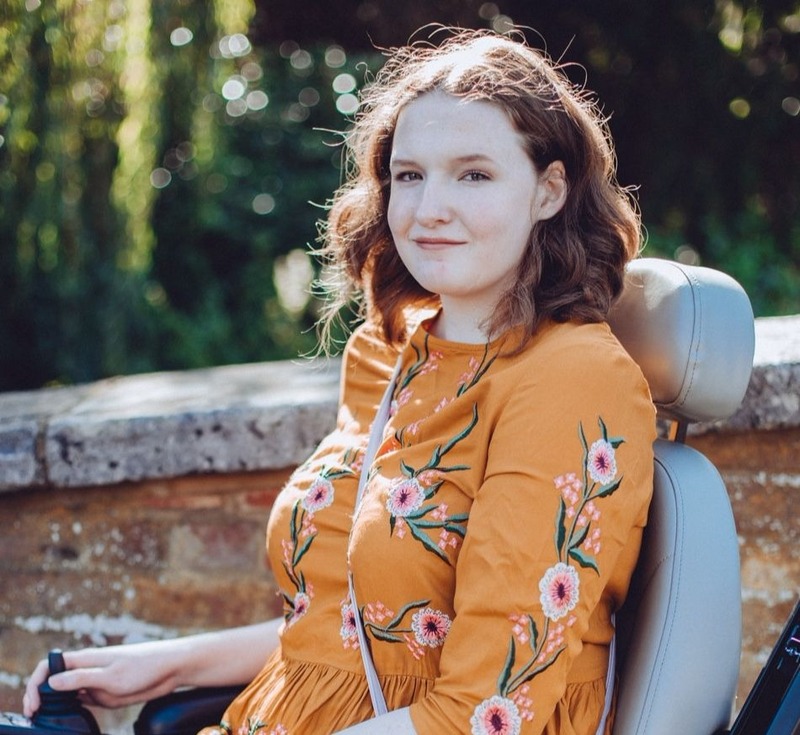 I'm Hannah and I posted about looking for chronic illness bloggers from #TheGirlGang group on Facebook and you responded, would you like to follow each other back?